I started thinking again. This time on the day of my little girl’s 25 th birthday – I know – I know….hard to believe…..Thinking about time and all it brings to us, takes from us, promises and demands of us. There are no measurements pure enough to capture and evaluate the moments that we are given and how we use them. When days roll into years and years convey a lifetime that we truly did our best to live well – we stop and wonder, really, where does/did the time go? (I sound like my father)… Where did my life go and what comes next? I never feared aging. Never thought twice about growing old or having life get away from me. I am that typical and atypical Gemini girl who lives in the moment but must make plans for next Tuesday at 10. I am the one who forgets about the chronological voodoo and concentrates on the way that I feel on the inside. I have said it before and I will say it again – I am 25 on the inside baby – have been since I was 5 year old – that is my age – that is where my heart beat is most at home. That is where my energy forms and my dreams scatter – I can’t help it if the reflection I see is a silly little lie…. I have recollections long and sweet from times so far gone that they are irrelevant in this moment. I always say you know you are getting old when all your memories hold no relevance in this time and place. Rotary phones and a new invention called Velcro. 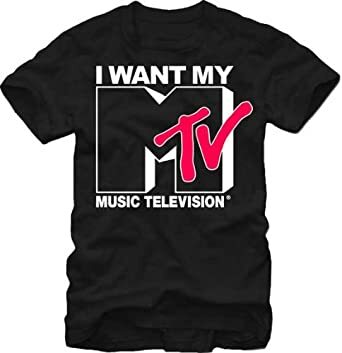 MTV and Atari – oh the magic of science and technology – the world was an amazing place for a girl of the 70’s. I remember when I was dating some lucky soul – and the phone at her house was not working for some unknown reason. She had to walk to the corner store and drop some dimes in the pay phone to call me at my house. Of course I was not home and there was no such thing as an answering machine or voicemail – so she waited and dropped dimes and waited and listened to the ringing and dropped some more dimes until I ran in the back door and grabbed that phone to answer and hear that patient and triumphant voice. The phone chord was long and tangled but allowed me the freedom of walking in circles around the kitchen as we spoke. The miles I surly walked on those calls all those years ago, untangling the curled connection with my fingers and pacing through the warmth of a conversation of promises and far away certainties. Of all the time that takes and turns the years that I have known – the time I gave to my children is the time I hold most dear. Forget the relationships and success at work. Never mind all those secret adventures – the travel and the sights I have seen – it all means very little in comparison. Our children are born to us. We shape and manage their little lives. We smother them with sweet kisses and teach them all we dare to teach them. We give of ourselves so that they will know themselves and take that knowing into the world and make it, perhaps, a better place. Unconditional, unshakeable, unfathomable love. There was –there is – for me, no greater use of my time on this earth than the time I spent nurturing and teaching my children – and that may be the only truth I will ever know. And now they are grown. My children – my legacy and my hope – a life well spent – time not wasted – no matter what my kids might tell you. They are wonderful and exhausting. They are the reflection of the life I have lived – and so – my work is done. And that simple realization is one which no mother is ever really prepared for. Time remains a tricky thing – it drags and flies – stops and turns – and always remains forever out of our control. In this knowledge – we must use it wisely – follow what our hearts scream to us and make the most out of the time we have not been promised.